Wilmington’s Ricky Dungan won the 50-yard freestyle at the Division II Mason Sectional swim meet at Mason High School. Dungan, a senior at WHS and two-time, four-event state qualifier, hit the wall in 22.53 seconds. Going in to this week’s district meet, Dungan has the third fastest time among district qualifiers. Dungan also qualified to the district meet in the 500-yard freestyle. He has the ninth fastest time at 5:05.21. In addition, Dungan is part of the two WHS relays that advanced from the sectional to the districts. Wilmington and Clinton-Massie will compete 10:45 a.m. Friday in the Division II Miami District boys swim meet at Miami University. 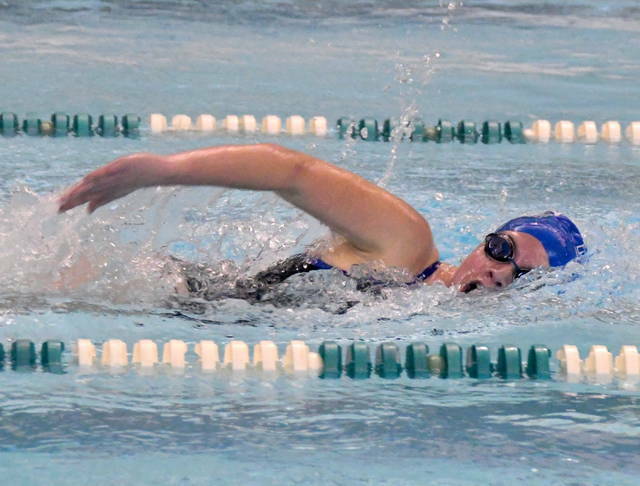 Wilmington did not have any members of the girls swim team advance to the district meet. There will be two automatic qualifiers in each event at the four district meets in Ohio. In addition there will be 16 at-large qualifiers selected on the basis of times among the four district meets for a total of 24 state qualifiers in each swimming event. WHS freshman Jordan Davis also qualified to the district meet in four events. 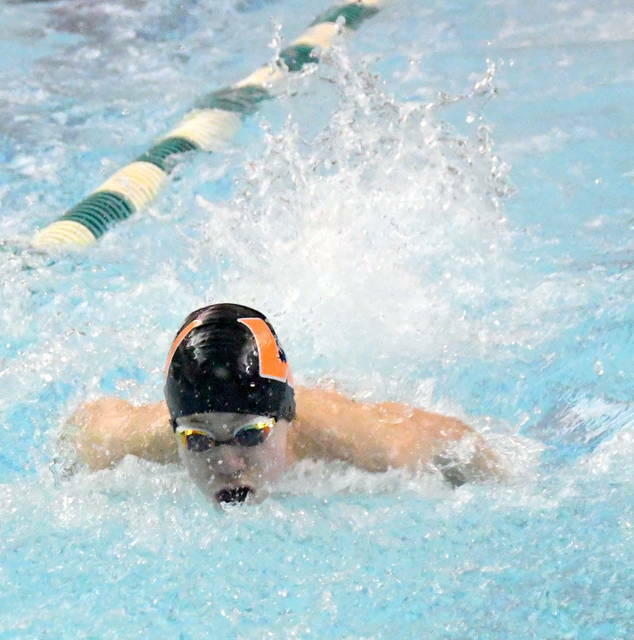 Individually, he is 10th in the 200-yard IM at 2:05.9 and 12th in the 100-yard butterfly at 55.66 seconds. Wilmington’s 200-yard free relay team of Josh Andrews, PJ Godsey, Davis and Dungan posted the sixth fastest time in the sectional meets 1:34.96. In the 50 free, Andrews is 20th at 24.01 seconds. Andrews, a sopohomore, is 27th in the 100-yard breaststroke at 1:08.71. The Wilmington boys 200-yard medley relay team of Dungan, Andrews, Davis and Godsey has the 10th fastest time among district qualifiers a 1:48.83. In the 200-yard freestyle, Clinton-Massie’s Wesley Vert is 19th at 1:57.35 and teammate Luke Lentine, a freshman, is 23rd at 1:59.47. Lentine also is 27th in the 100-yard butterfly a 58.6 seconds. Vert, a junior, is 25h in the 500 free at 5:36.57. Clinton-Massie’s 400 free relay team is 24th at 3:54.54. On the girls side, Clinton-Massie’s Lilly Lentine is an alternate in the 200 free with a time of 2:18.27.